Land base wise, I don't think it needs to be said but just in case, while going for top tier cEDH the 9/3/3 split is the best while adding in alternative lands and the most efficient ones. So in regards to that: The fetches excluding Scalding Tarn , the three duals Scrubland , Bayou , and Savannah . The three shocks Godless Shrine , Overgrown Tomb , and Temple Garden . That's the basic for a three color deck, next on priority is the pain lands which are Caves of Koilos , Brushland , and Llanowar Wastes . The multicolor land, Command Tower , Mana Confluence , City of Brass , Reflecting Pool . 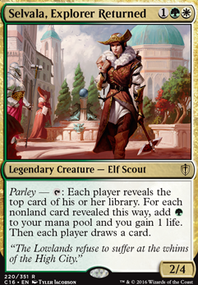 If going a bit more in since you are going to be running quite a bit of enchantments as well as creatures. 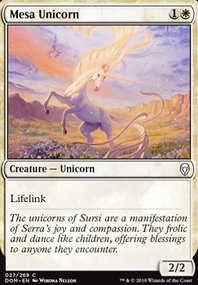 Gaea's Cradle and Serra's Sanctum are decent inclusions, any land that gives you more than one is great. Ancient Tomb and Gemstone Caverns can also be considered. Hey, looks good, haven't seen Primal Surge with Estrid before. Eternal Witness > Auramancer: Witness can get back any card from your graveyard including Surge. Mystic Remora > Monastery Siege: Remora is one of the best enchantments for draw in multiplayer Commander. 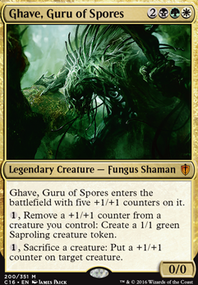 Sterling Grove > Lunar Force: enchantment protection and a tutor, very good if you can reanimate it. Stasis > Trade Routes: in combination with Estrid's ability to untap enchanted lands Stasis can be major disruption to your opponents and not you. Energy Flux > Psychic Surgery: your not relying on lots of mana rocks for ramp, this disrupt any opponent who is. Song of the Dryads > Banishing Light. Sun Titan > Sumala Woodshaper: Titan can reanimate an enchantment or any other 3 of less CMC permanent. Hey, looks good, but consider more ramp? Is this a budget deck? The total deck cost and the manabase tell me that it is, but the maybeboard and a few cards in the main looks like it isn't. Do you have the cards that are in the maybeboard? 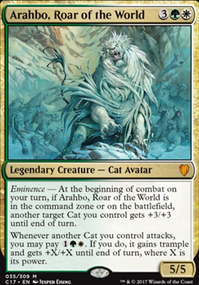 Armada Wurm : big creature who also makes a big creature token with evasion, value from both of Trostani's abilities. Phyrexian Processor : way to use life and a repeatable way to make big tokens. One of the best budget cards with Trostani. Garruk, Primal Hunter : budget Planeswalker, can be a repeatable source of a creature each turn and his -3 is excellent repeatable draw with big creatures. Fierce Empath : budget tutor, there's a lot of possible creatures he can tutor for. Birds of Paradise : nonbudget. Talisman of Unity : two drop mana rock. Chromatic Lantern : with 24+ basic lands it can help to fix colors of mana. The avg. CMC here is 4.5 which is very high many of these card suggestions/cuts will help to reduce this number. Anthem effects that only pump power/toughness are not doing much when the creatures are already big. Primal Vigor: Lives and Procession are better and don't help your opponents. Desolation Twin: too much mana. Verdant Sun's Avatar: not good enough for seven mana. Trostani's Judgment: six mana removal spell for one creature is not worth it even if there's tokens to populate. Emmara Tandris: this effect is not worth seven mana. 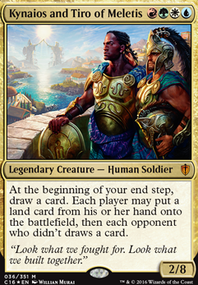 Darien, King of Kjeldor: 3/3 for six mana who might give you tokens later on is not worth it. Phyrexian Rebirth: Command and Reckoning are better high mana cost board wipes. I also forgot to mention Lands. They are a bit on the expensive side of things but, lands such as: Gaea's Cradle , Serra's Sanctum (only if you add a few more enchantments), Nykthos, Shrine to Nyx , Savannah , Ancient Tomb , Gemstone Caverns and the 7 color-suited fetch lands you can run will really speed things up for this deck. You should probably remove some of the "enter tapped lands" for lands such as City of Brass , Mana Confluence , Brushland , Flagstones of Trokair (bar-none the best Crop Rotation target), Inventors' Fair (another artifact tutor) and Dryad Arbor (cast Green Sun's Zenith x=0 and get an extra land drop on one of your turns). Hey, really well made deck, lots of good enchantments, Curio is some great tech. Enchanted Evening > Privileged Position: there's already Sterling and Auramancy to protect your enchantments Privileged seems overkill. These two cards protect all your permanents with Evening. Stony Silence > Aura of Silence: this will disrupt your opponents much more than you. 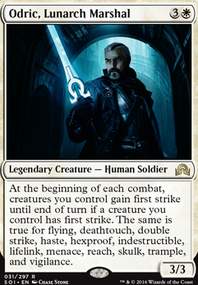 Rhystic Study > Imprisoned in the Moon: Study is one of the best enchantments in all of Commander. Several of these suggestions are in the sideboard. Form, Armor and Rancor are powerful one drop Auras with Tuvasa. Consider cutting 1x of each Basic land for three Pain lands? It's an easy fix to run Eldrazi Displacer. Just swap out a few lands for some Brushland or Wooded Bastion. Hey, saw you were looking for help on reddit and thought I could make some suggestions. First off, I think cards like survival of the fittest and Rest in Piece would be good, though it is a non-bo with e-wit and Regrowth(a strictly better Recollect) type effects. If you are facing a lot of graveyard based decks in your meta it could be a good call though, (since you mentioned gitrog specifically and they cannot win through it). I would recommend replacing Krosan Grip with Nature's Claim as it just is way easier to cast overall. It will allow you to develop your board as well as hold removal. 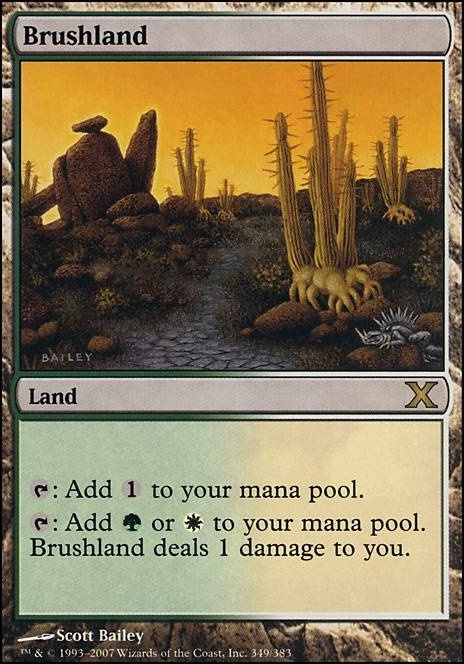 I would play Grim Monolith over basalt monolith if you can and I would also recommend Sunpetal Grove Brushland and Wooded Bastion for lands. I don't think Mana Tithe is worth a slot either personally, because despite the fact the many cedh decks can be really fast, having them pay just 1 extra can be kind of inconsistent. I think Fall of the Thran is just a worse Armageddon if that is what you are looking for, but I'm not sure that is worth it either, I might just recommend Winter Orb due to the similar effect but it can come down significantly earlier. Authority of the Consuls seems weak in most cases unless you are in a splintertwin/kikijiki heavy meta. For cards I would recommend for good includes in general would be Eladamri's Call, Sensei's Divining Top, Selesnya Signet, Shalai, Voice of Plenty(good against people trying to kill you with a targeted spell Tendrils of Agony, Walking Ballista, Stroke of Genius ect...), Gaddock Teeg(very good against Ad Nauseam one of the most played cedh cards), Saffi Eriksdotter for protection on sisay and added combos, Mother of Runes for protection as well and there are probably some other things, but i think that's a good start. Overall though, the deck looks solid, and I think these cards could help.